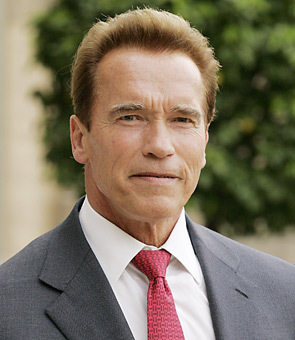 For the last seven years, Americans only saw Arnold Schwarzenegger as a politician. As he served as the governor of California, it seemed as though millions of Americans forgot that he was not always a politician. In addition, there are numerous youths in the United States who may not even have a recollection of the Austrian Oak as anything but the governor of California. But Schwarzenegger did in fact have a past. In addition to being arguably the most famous bodybuilder in the history of the sport, winning six Mr. Olympia competitions defeating the likes of Lou Ferrigno and Sergio Oliva, Schwarzenegger made a huge name for himself in front of the cameras in Hollywood. After making debuts in movies such as Hercules in New York and The Long Goodbye, Schwarzenegger made a big splash on the big screen with Pumping Iron, the famed bodybuilding documentary. Then the Austrian Oak would star as Conan in the films Conan the Barbarian and Conan the Destroyer before landing the role he will most likely be remembered for the most, The Terminator. After a few Terminator sequels, Predator, Kindergarten Cop, and Batman and Robin, among other films, Schwarzenegger ended his reign as a Hollywood mainstay and became a politician. Rumors have Schwarzenegger already set to be in the sequel to the Expendables. The news is coming as a joy to many and a relief to others. It is no secret that many were not exactly happy with the way the former bodybuilder ran the state of California. There are many who are happy to hear that Schwarzenegger will now be back on the silver screen and no longer in his office controlling the budget and legislature of California. But there are even more people who are beyond excited to see what the Austrian Oak can do in front of the cameras after spending nearly a decade away from them. While he is no longer the young man with the muscular body that few in the world could even dream of matching, Schwarzenegger is a seasoned veteran of Hollywood and with all of his experience and knowledge, there is no question that he can still bring it in terms of his acting abilities.